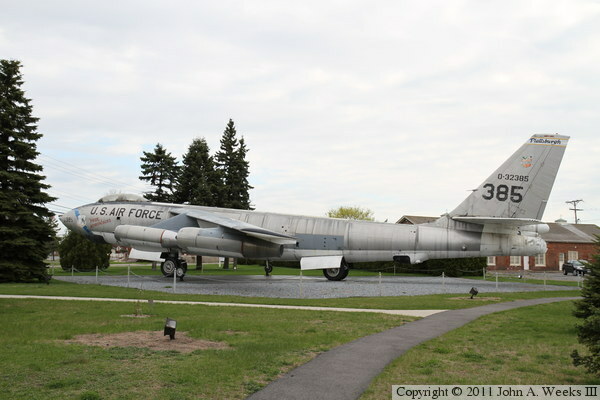 EB-47E Stratojet bomber on display at the Clyde A. Lewis Park in Plattsburgh, New York. The park is located near the site of the former Plattsburgh Air Force Base. Clyde Lewis flew two tours in WWII, and later was the commander of the VFW organization. He was instrumental in the establishment of the base in Plattsburgh in 1952.